The Editor's Lounge in Burbank, CA, had Editor and Avid specialist Scott Freeman present at a meeting in early 2014. He explains round-tripping Avid projects through Davinci Resolve. He covers proper file name management, EDLs and a lot more. PixelWizard gives his input on creating dailies in Davinci Resolve for editing in Avid, and then round tripping back to Resolve, properly linking to original footage and for rendering out of Resolve and taking back to Avid for final output. Michael Jordan shows his workflow between Avid Media Composer and Davinci Resolve. 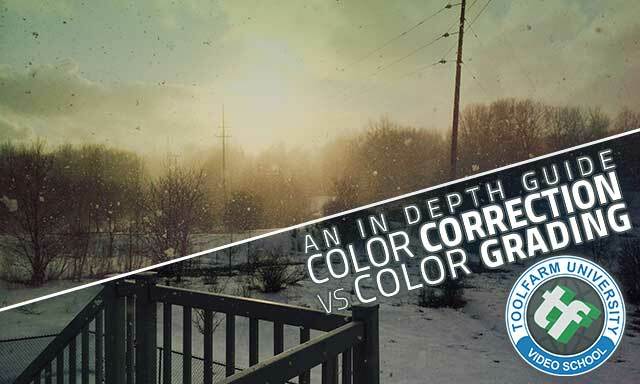 For more on color grading, check out In Depth: Color Correction vs. Color Grading. I’ve heard the terms Color Correction and Color Grading used interchangeably but they are not the same things. I’ll explain the difference, show you some tools to fix and tweak color, point you to a few tutorials, give you some side by side examples and breakdowns. Finally I’ll link you to some free tools you can use for color correction or grading.